I love making soup in my pressure cooker. Without too much fuss, I can get a comforting meal on the table—and better yet, clean-up is a breeze. 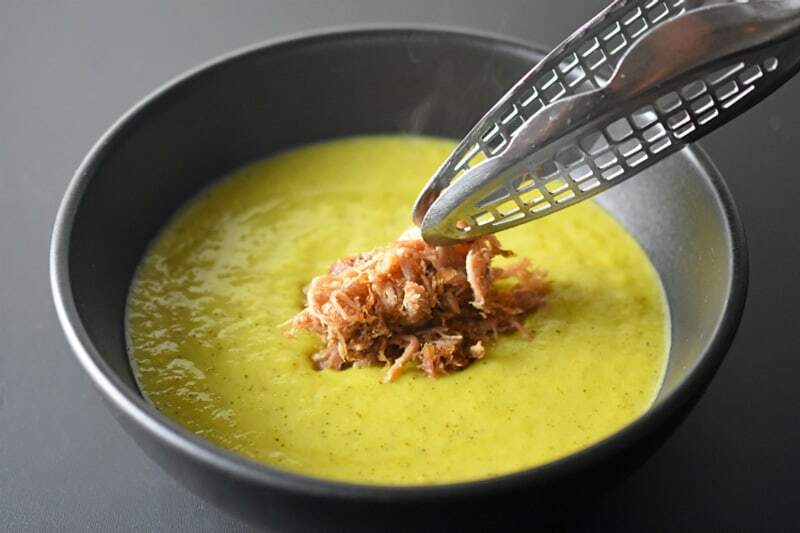 This cold-weather recipe for a spiced broccoli soup is a riff on a classic stovetop version on my site and in our first cookbook, but made even easier in an electric pressure cooker. 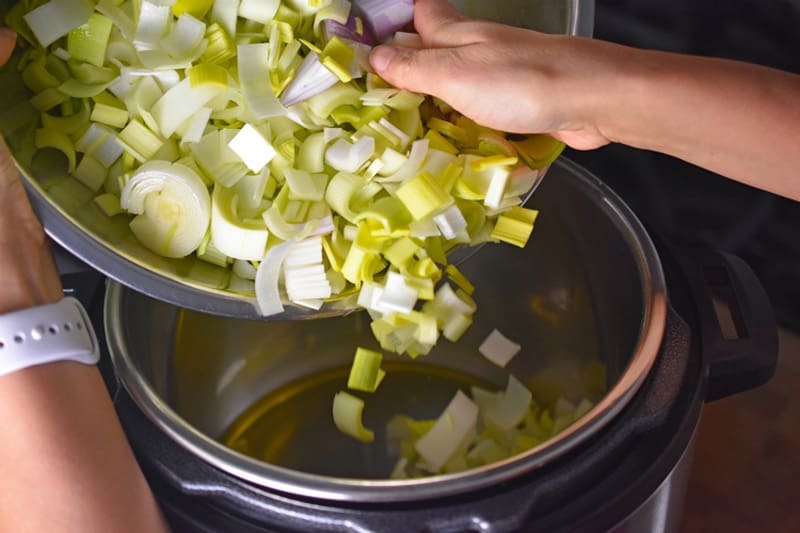 Weeknight “garbage soup” is on regular rotation at Nom Nom Paleo World Headquarters: I pull out whatever vegetables are left in my crisper and toss them in a pot with some prepared broth. 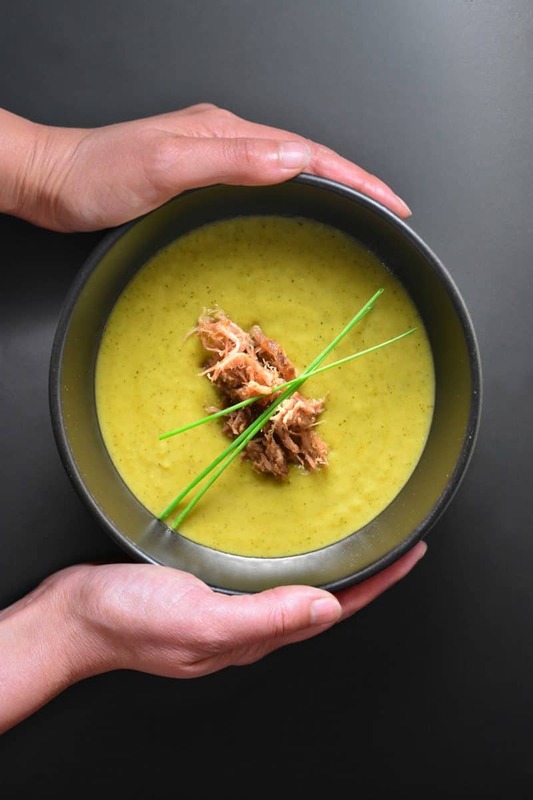 This formula works with just about anything, but if you happen to scrounge up some broccoli florets and leeks in the fridge, you must make this blitzed cream of broccoli soup tonight. Start by prepping your ingredients! 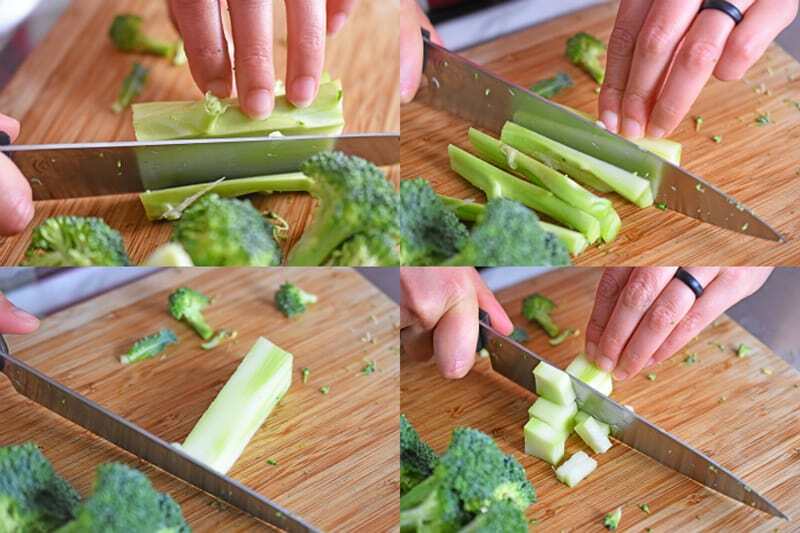 A note about choppin’ broccoli: don’t waste the stems. Go ahead and trim off the hard, woody exterior of the stems, but cut up and use the soft flesh underneath. As for the leeks, they make look pristine, but there’s still plenty of dirt hidden in the folds. Keeping the root end intact, cut the rest of the leek in half lengthwise. 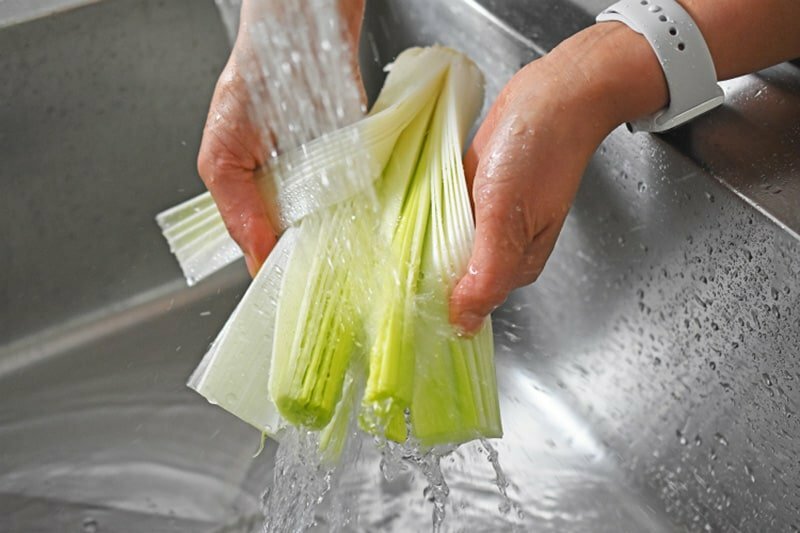 Give the leek a quarter-turn, and then slice it lengthwise again (at a right angle from the initial cut)—again, keeping the root end intact. Then, fan the leaves under running water to release the sand and mud. 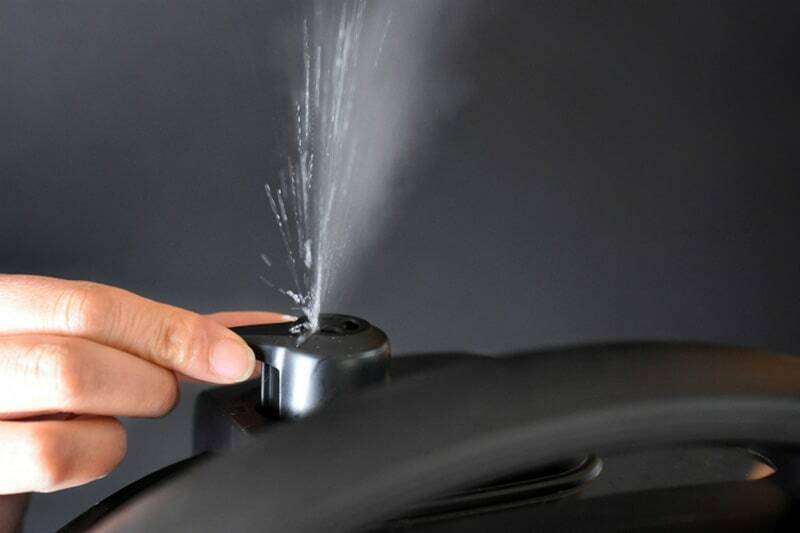 Finally, flick off the excess water and slice away. No leeks? 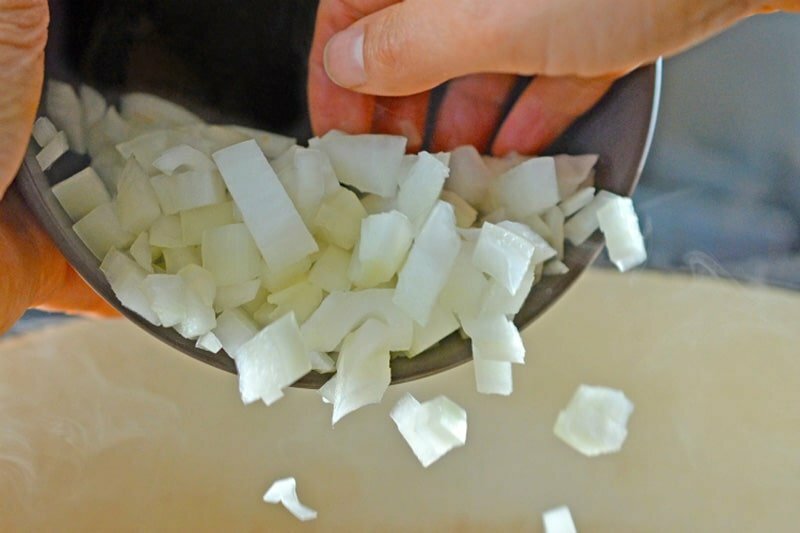 Dice up two large onions (approximately 1½ pounds total), and you’re good to go. …curry powder, and a sprinkle of salt. Cook, stirring often, until the alliums are softened (about 5 minutes) and the curry is fragrant. Add the broth. 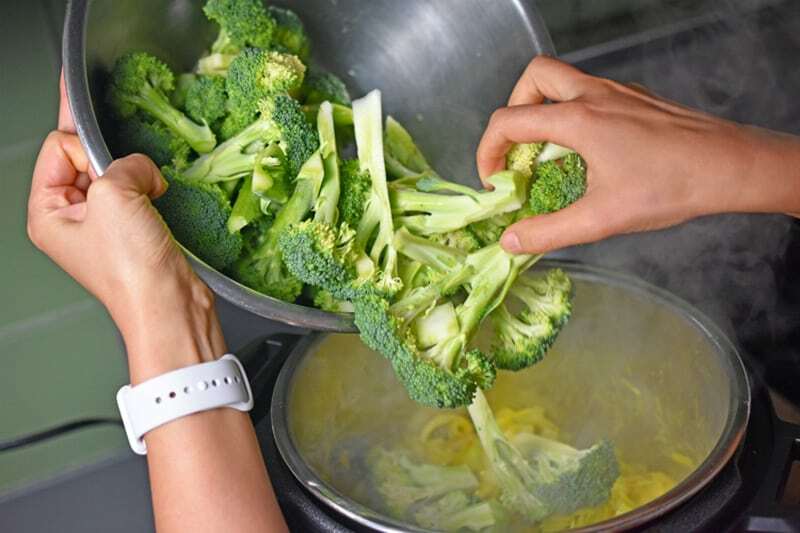 If the vegetables aren’t mostly submerged, add more water, but make sure that the pressure cooker isn’t more than about ⅔ full. Program the cooker for 5 minutes under high pressure. (You can hit the “Manual” or “Pressure Cook” button and press the “—” or “+” button until number changes to 5.) 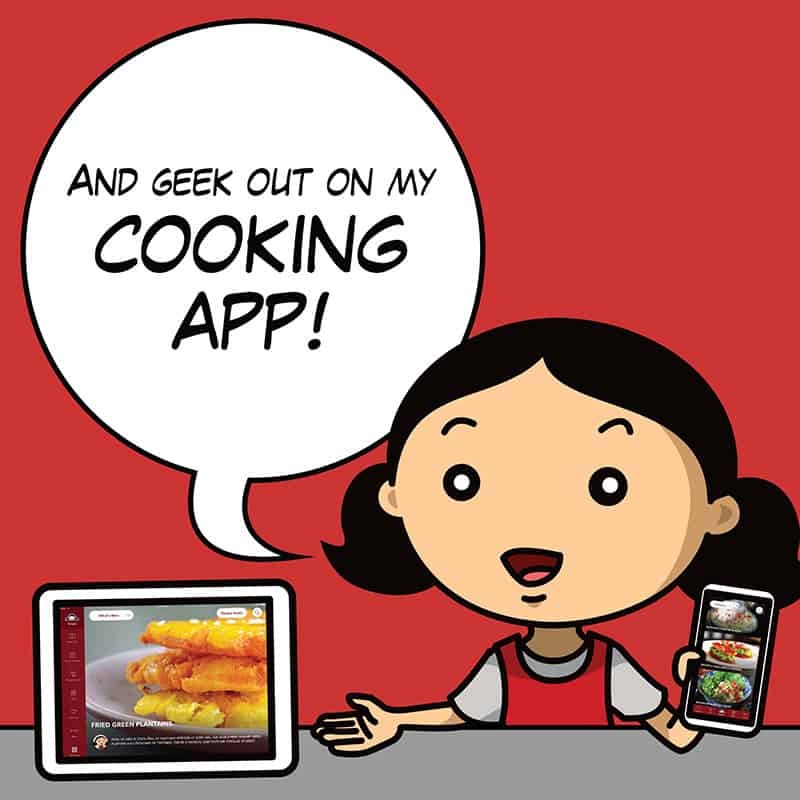 Place the lid on the pressure cooker and go goof off (or, if you’re a more responsible parent than I am, go help your kids with their homework). 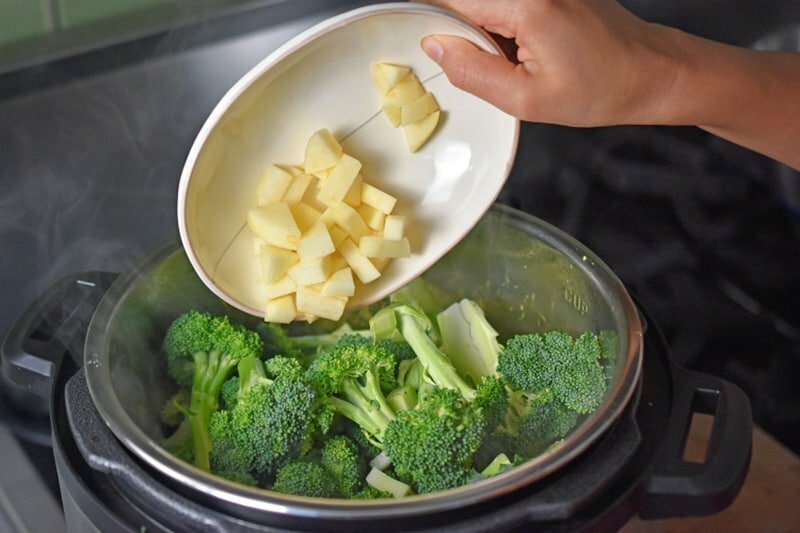 When the soup is finished cooking, turn off the pressure cooker and release the pressure manually under the stovetop vent. 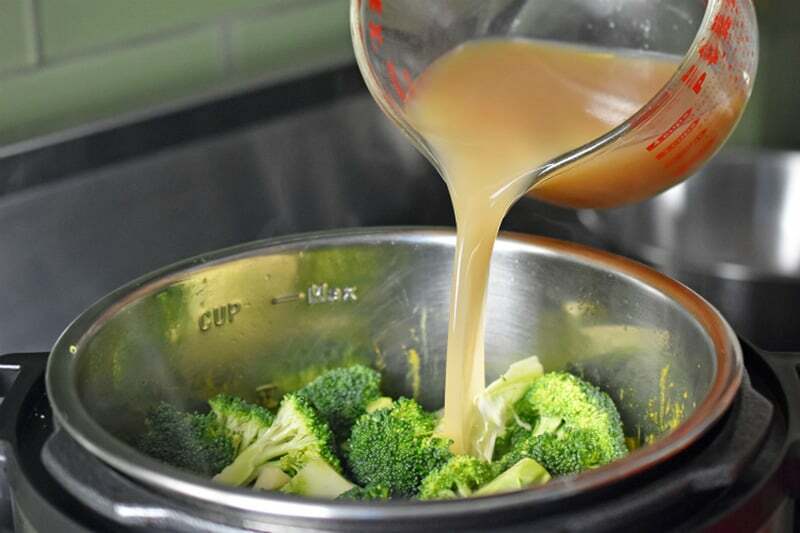 If you overfill the Instant Pot, some liquid might spurt out the top, so be careful! 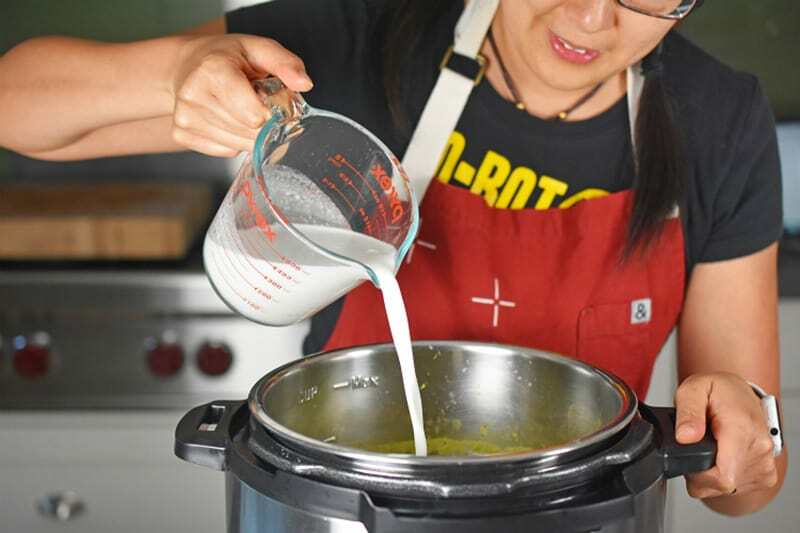 Then, use an immersion blender to blitz the soup. The result should be a smooth, aromatic green purée. 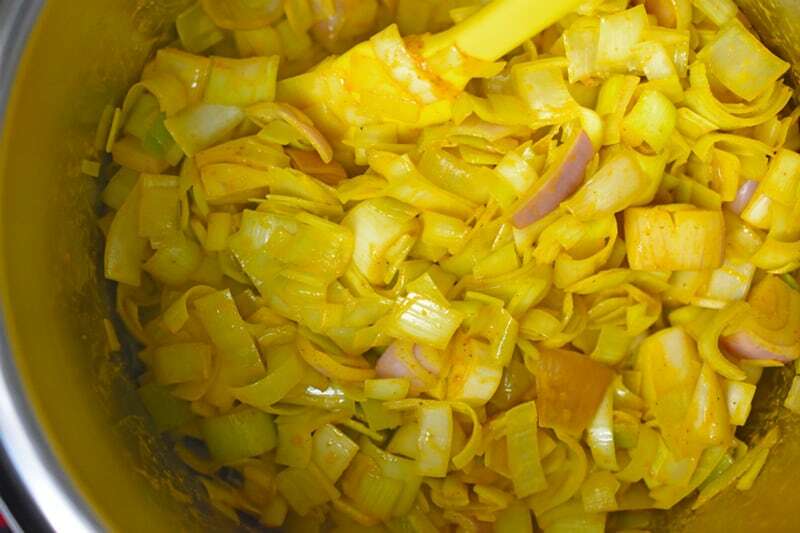 …and blend to incorporate it into the soup. Taste the soup for seasoning (again) and add salt and pepper if necessary. To make this a one pot meal, mix in some leftover meat. I like to add crisped-up leftover Kalua Pork—and if I’m feeling fancy, I add a pretty herb garnish at the end (e.g. some chives). No one will be the wiser that you’re serving them the dregs from your fridge. You can save the leftovers in the fridge for up to 4 days or freeze for several months! 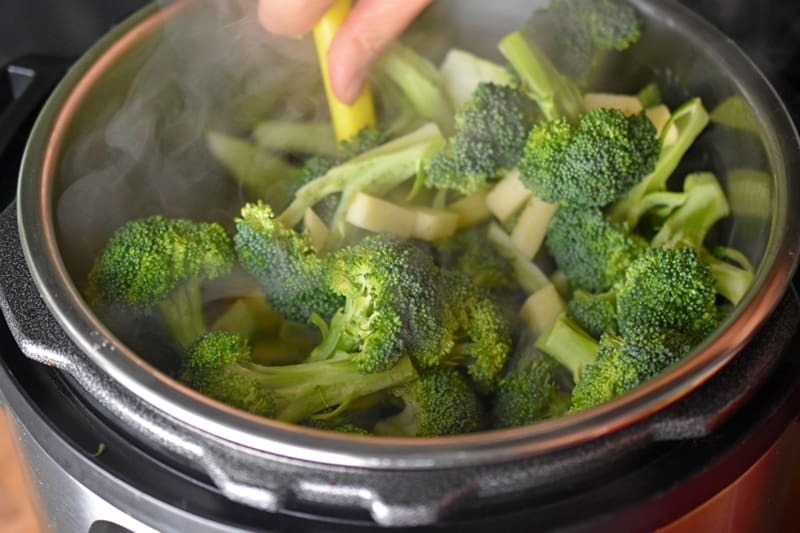 Got broccoli and leeks in the fridge and an Instant Pot on the counter? 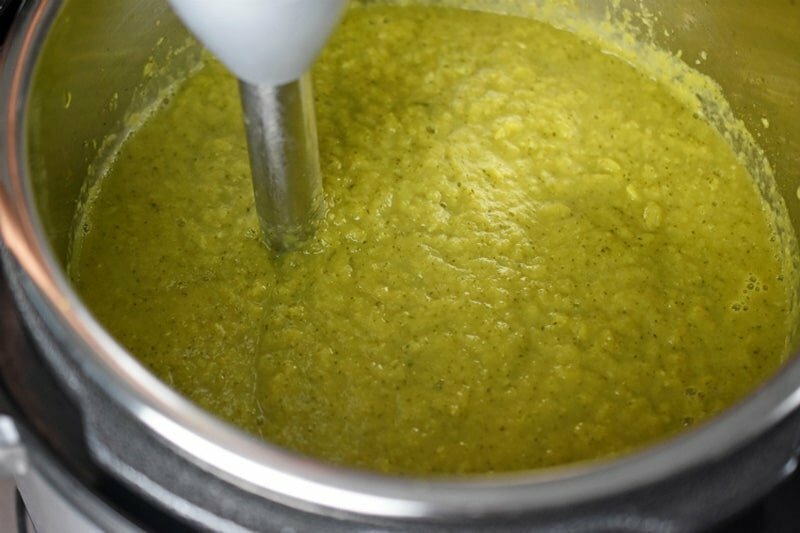 Then make this super-easy Instant Pot Curried Cream of Broccoli Soup tonight! 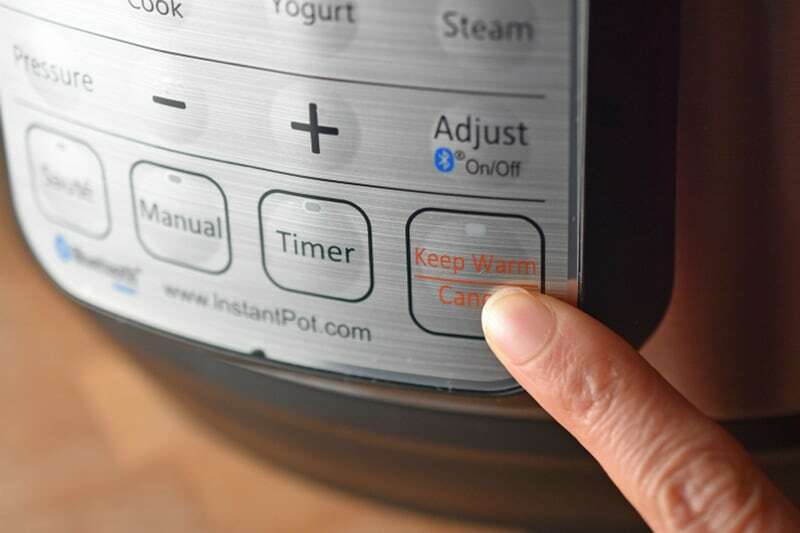 Turn on the sauté function on the Instant Pot, and add your fat of choice once the stainless steel insert is hot. 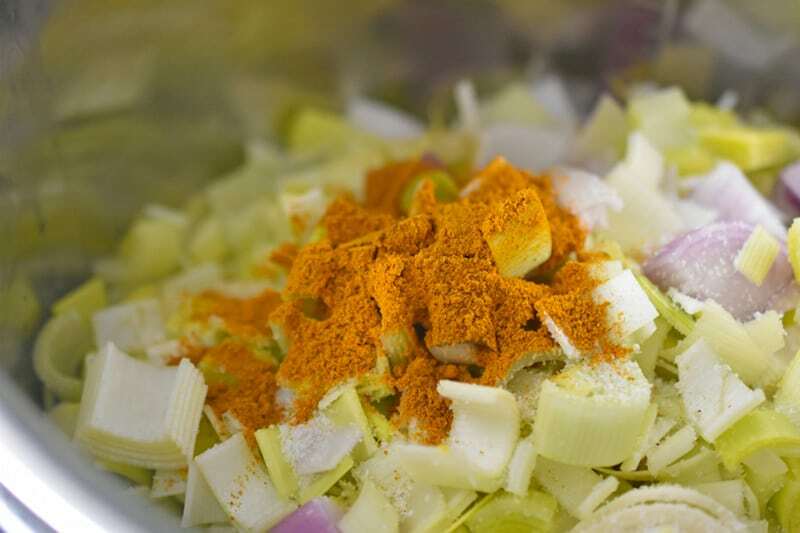 Add the chopped leeks, shallots, curry powder, and a sprinkle of salt. Cook, stirring often, until the alliums are softened (about 5 minutes) and the curry is fragrant. Throw in the chopped broccoli and apple. Stir to mix well. Program the cooker for 5 minutes under high pressure. (You can hit the “Manual” or "Pressure Cook" button and press the “—”or “+” button until the number changes to 5.) 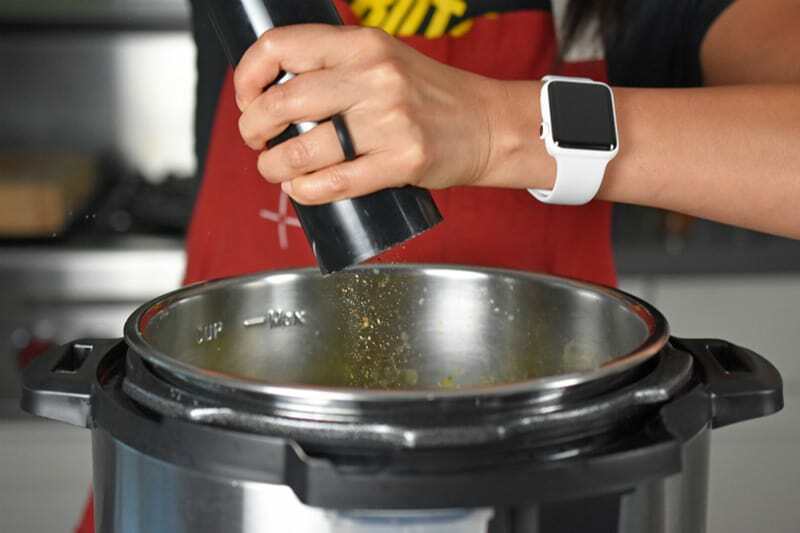 Place the lid on the pressure cooker and go goof off . 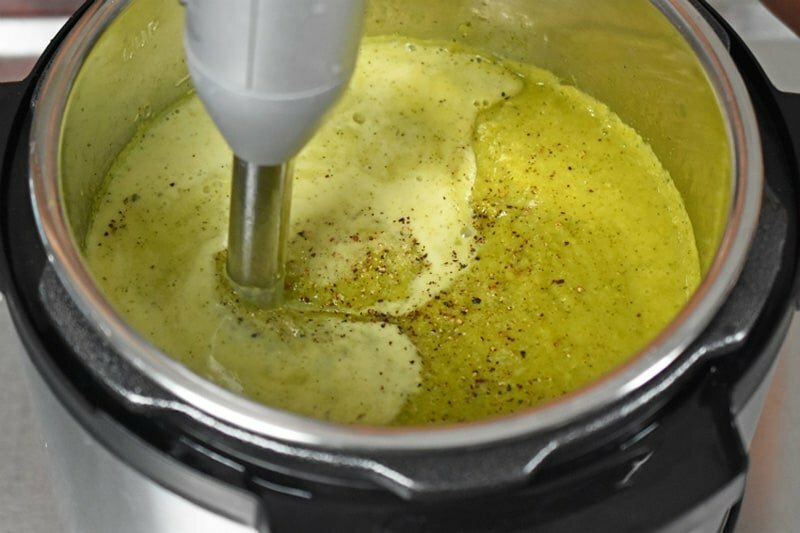 Use an immersion blender to blitz the soup. The result should be a smooth, aromatic green purée. Add the coconut milk, season to taste with salt and pepper, and blend to incorporate it into the soup. Taste the soup for seasoning (again) and add salt and pepper if necessary.